Payer Law Group and Christian Payer have been aggressively representing clients and trying cases for over 25 years. Our law firm prides itself on handling each client’s case to ensure every client is fully compensated for their losses. Where settlement does not fully compensate a client, Payer Law Group is prepared to try the case. Over these 25 years, the following are representative verdict and settlement earned for our clients. Please note, the verdict and settlement amounts represent the total verdict or settlement, before payment of attorney’s fees or costs. As each case is unique and results are case-specific, future client may not recover a similar settlement or verdicts. The following is offered to document we are trial lawyers. Jury Verdict in a car crash, where Payer Law Group’s client was struck on I-95 by a vehicle traveling over 100 miles per hour. Our client’s claim for severe brain injuries was denied by the insurance company who offered nothing prior to trial. After a long trial, the jury found the Defendant was 100% liable and awarded our client $27,566,000, an award which at the time was the 2nd largest auto accident verdict in Orange County history. Jury verdict in an ambulance liability damages case where the defendant made no offer prior to trial. Settlement in a chemical exposure case where the Plaintiff suffered breathing injuries leaving her unable to return to work. The case was originally denied and Payer Law Group litigated the case for several years to secure the recovery on behalf of our client. In addition to the settlement, Payer Law Group recovered over $1,200,000 in medical benefits and lost wages from the worker’s compensation insurance carrier. Settlement of car accident case where the parent’s teenage son was killed by an allegedly drunk driver in Tampa. Case also included claims against a construction company who had blocked the sidewalk near the accident site without providing for safe passage of pedestrians around the construction site. Settlement of automobile accident case where client suffered a lower leg amputation in the accident in Seminole County. Settlement of automobile accident case where client suffered multiple facial injuries when he was struck by another vehicle which crossed the center line in a construction site on State Road 441 in Tavares. What Are Verdicts and Settlements? 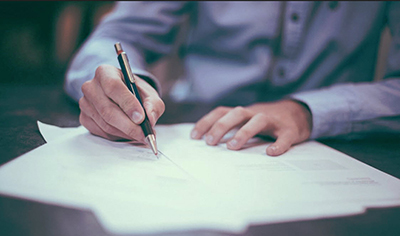 Chances are that if you have ever been a part of a personal injury case or other legal dispute, you may have come across the terms “verdict” and “settlement”. What do these mean and what is the difference between the two? Our attorneys at Payer Law Group are happy to explain below. A settlement if when the two parties will try to reach a resolution outside of the courtroom. In other words, no legal proceedings must take place. In fact, everything can be negotiated and agreed to before or even during civil court proceedings in this scenario. In these situations, the plaintiff (the party that has been injured) or the defendant can offer an amount to the other party in order to settle the case and avoid dragging the process out further. The other party can agree to the terms or they can counter or even deny the offer if they feel does not adequately compensate them for their losses. A verdict is a decision that is made by a judge or a jury during court proceedings. If you are in a scenario where your case goes to trial, it will be the duty of the jury to hear the argument in its’ entirety from both parties and to reach a conclusion.The way a verdict is decided when a jury is utilized (in a personal injury case), is that the result is based upon the majority decision reached. For example, if there are 10 jurors and 6 votes that the defendant is not guilty, then the verdict given to the judge will be “not guilty”. In criminal cases, the jurors must reach a unanimous decision. This means that all of the jurors must be in agreement. Each and every single one. Which Is Most Commonly Used To Resolve Cases? When it comes to personal injury cases, the vast majority of them utilize a settlement to reach an agreement with both parties. Why? Quite simply, this reduces court costs and fees that are incurred when cases go to trial, as well as reduced time and expenditures surrounding lengthier cases. If you are being sued or would like to press charges, please contact our experienced litigation attorneys today with a highly successful track record with personal injury cases. Payer Law Group Verdicts and Settlements are constantly happening. Let their experience help you resolve your case in the best manner possible. Call (866) 648-1510 today.